Hey guys so today’s blog post is a tag themed one I usually do these on my channel however I don’t want to do all of them on there. I was nominated by Hey Lucy to do this tag a while back but I’ve never gotten around to doing it. I really like the idea of having a tag completely based around relaxation. I think that it’s personally so important to have me time especially with all of the hectic and chaotic lives that we all live. 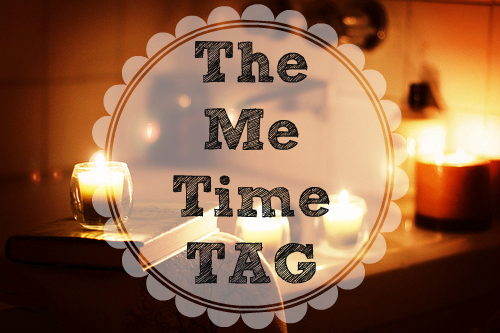 What do you watch or read during me time? I normally either catch up on TV programs that I have recorded or YouTube videos that I haven’t had a chance to watch yet. I also watch movies that I haven’t seen before or I haven’t watched in a long time as they usually bring back good memories. I love reading the Daily Mail as I always find interesting articles on there as well as the magazine New. However at the moment I’ve been really into books so I’ll usually just carry on reading the book that I’m currently reading. I either usually wear my pjs or comfy clothes such as leggings and a hoodie or just some tracksuit bottoms with a warm jumper. I’d have to say carmex because you don’t want to get chapped lips and also a face mask from Superdrug they always put me in a relaxing mood. I’m currently not really loving any as I’ve kind of gone off nail polish. I’m not allowed to wear it to work so I hardly paint them any more. However my all-time favourtie nail polish would be raspberry from Barry M.
I usually eat a lot of rubbish if I’m honest it could either be a take-away, crisps, chocolate or sweets. However I am quite good when it comes to drinks I rarely drink fizzy drinks but I always drink tea or squash. As well as nail polish I’ve also gone off candles I don’t really put any on that much any more as I’ve always got other things on my mind. However when I do I just love plain simple tea lights as sometimes scented ones can give me headaches. Definitely I often walk home from various places if I feel like I need to clear my head or if I’m not feeling like taking public transport. I find that this type of me-time is especially worth while as it helps you to re-evaluate your life and to see what’s important in life and what isn’t. Would you ever go to see a movie alone? No never. I’m one of those people that sees people who go and see a movie by themselves kind of weird (No offence if you’re one of them!) it’s just the way I see it. I mean a movie should be seen with two or more people so you can discuss it after and maybe go for a meal or go shopping. I really like to shop at either H&M or New Look as they’re good when it comes to the delivery part. I also like to take advantage of when they cut down on postage and packing prices as sometimes it can be pricey. During me-time I like to write blog posts, film videos, play computer games, think of ideas for future blog posts or videos, work on my book, tidy and organise my room, try different outfits out and many more things which I cannot be asked to write down. "Wishlist | If I Were To Spend Money #2"
"Video | My Pamper Routine February 2015"